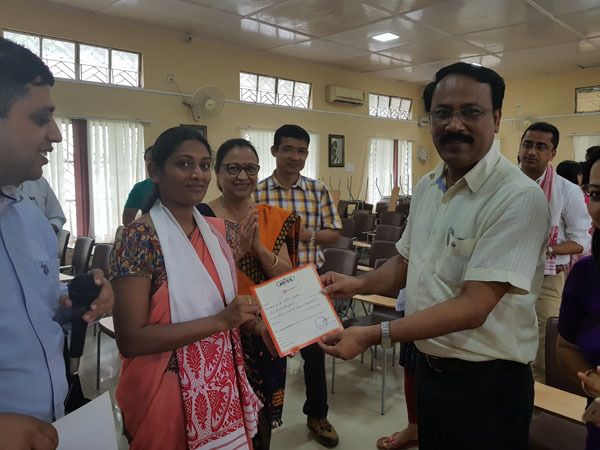 Dibrugarh district administration in association with Assam Medical College and Hospital(AMCH) on Friday organized a blood donation camp at Deputy Commissioner’s office here. Addressing people at the blood donation camp, Dibrugarh MLA Prasanta Phukan said that there is disbelief among the people of villagers on blood donation. He urged the village people to come forward and donate blood. Dibrugarh DC Laya Madduri urged everyone to contribute towards the society and save lives by donating blood. She asked his office staff to donate blood and set an example for other government department.